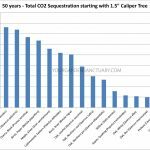 Last post, I covered some invasive trees and suggested alternatives. 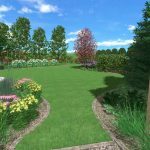 Today, we cover some shrubs, ground covers, and ornamental grasses. 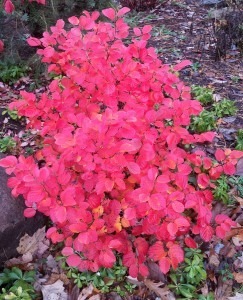 Dwarf fothergilla are not always this red, but they always have great fall color. Taking a hike through the woods and you quickly know when you find a bunch of thorny invasive barberry. 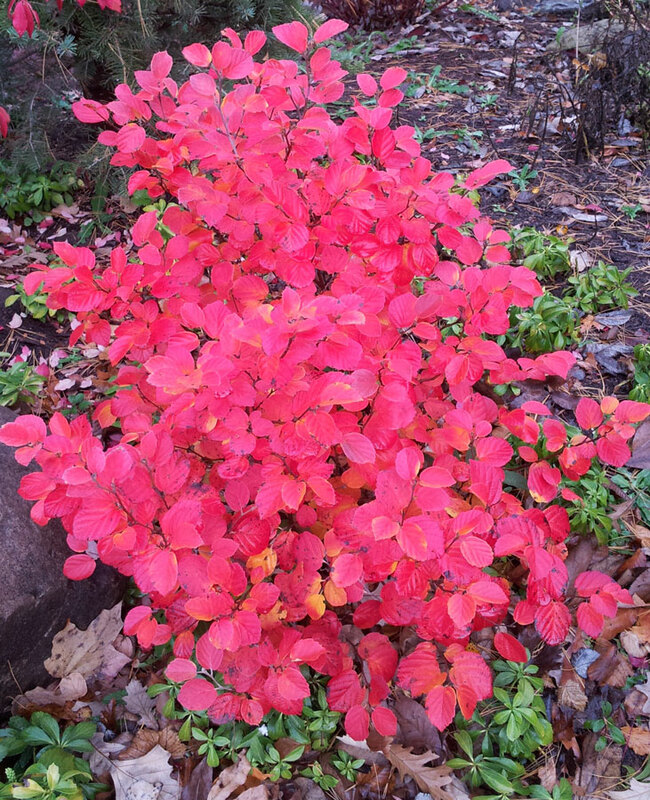 Dwarf fothergilla doesn’t spread into the woods; all it does is have sweet scented flowers in the spring, attractive clean foliage in the summer, and great fall color. 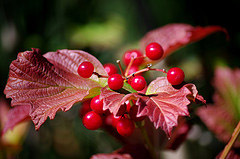 The three plants I now try to recommend instead are all natives with fall color that can rival the burning bush. I have started using them more and would recommend you consider doing the same, unless you’re a heartless evil BP executive! Most people can’t tell them apart, except the American variety gets better red fall color. This is kind of a “well duh? !” choice if there ever was one. Of course if you are one of my readers from Europe, I would recommend you use YOUR native variety. Instead of English ivy, or Vinca minor (yikes one of my favorites), or even Japanese pachysandra (yeah that stuff that is EVERYWHERE at a certain garden I know pretty well), plant Allegheny spurge or Canadian ginger or if your soil is dry, Barren strawberry or coral bells. If it’s pretty sunny, native perennial geranium is a great choice for a perennial ground cover! Allegheny spurge is a native evergreen gem. Note in the colder part of its range, it may be “semi-evergreen”. It does have fragrant, white flower spikes appear in spring, later becoming camouflaged by a new flush of crisp green foliage. 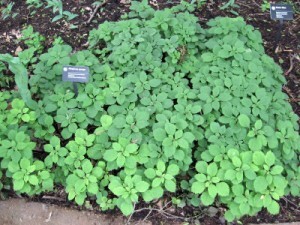 Canadian ginger is a deciduous choice that is good for moist woodland or naturalized areas in light to dense shade. They both do need soil that does not get dry. 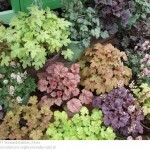 If that’s your soil, barren strawberry or coral bells may be a good deciduous ground cover choice for you. Non native grasses are some of the most invasive plants I have seen. Actually so are some natives! 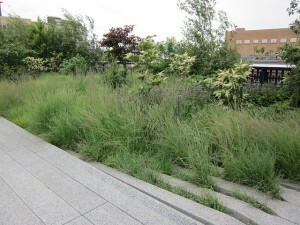 Luckily there are many cool non-invasive, native ornamental grasses. 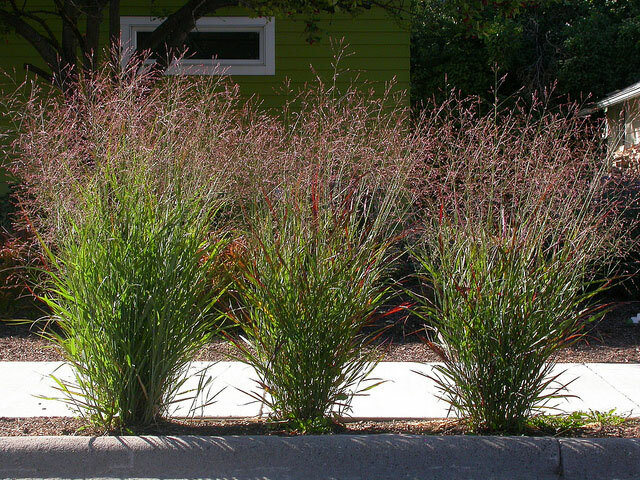 Try any of the native switch grasses such as Blue Switch Grass (Panicum virgatum ‘Heavy Metal’) or Cloud Nine Switch Grass (Panicum virgatum ‘Cloud Nine’), as well as little bluestem or Prairie Dropseed. So that’s a list of some invasive nonnative plants you may wish to avoid, as well as some native plants that could be used instead. Oh and yes, I know I have Amur maple, Burning bush, Vinca minor, Japanese pachysandra, Japanese silver grass (although my cultivar does not set seed) all in MY yard. Maybe, I should go shopping for replacements! As with the last post, here is the proper Latin names of the plants I talked about to avoid confusion due to regional differences in common names. I love these “plant this not that” suggestions. I wish nurseries would put signs up near their plant offerings and suggest these alternatives. The buyer would be drawn to the plants they know (burning bush, ivy, etc.) and get introduced to plants they don’t know, with an easy little blurb about why the alternative would suit them better. I wish! 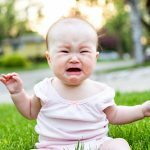 Thank you for your article “12 Common invasive plants and natives to use instead Part 2” which I found very helpful information, I would like to read Part 1 if it is still available? Our homeowners association just had a fence put up around a pond to discourage Canada geese that were causing major problems for a number of homeowners. I am looking for information on non invasive low maintenance like ornamental grasses, low grasses and sedge’s to plant around the pond to improve appearance and discourage access to the pond that may try to nest inside of the fence. It would be nice if someone wrote a book with information on landscaping “large ponds”, there are lots of books on small garden ponds that are not very helpful for someone interested in landscaping a large pond, if a book on the subject exists I would be interested knowing the title?